When I look for a Member of the Month candidate, I have several criteria in mind. Two of the major ones: activity in Q&A and the robustness of the member’s network. The Member of the Month for October, Nic Teunckens, has both of those things in spades. In the span of one year, he has answered nearly 280 questions. On top of that, Nic has 47 followers, but perhaps even more interesting — he follows 241 people. Clearly Nic’s a guy interested in helping and making connections. So let’s get to know him a bit better and help his network grow even more! First off, Nic, I want to apologize. I’ve been wanting to talk to you for weeks, but I’ve had my hands full with SAP TechEd. So, again, sorry that it took me this long to chat with you. Anyway, let me offer my congratulations to you for earning Member of the Month for October. Thank you. I was surprised and honored to be recognized as Member of the Month. I have been a community member since 2007, but only recently stepped up my efforts in contributing some more. Maybe I will even be issuing a blog post In the future, who knows? I’d love to see some blog posts in your profile list of content. Speaking of which…I see from your profile that you’re from Belgium, but you don’t provide any information about your company. Could you tell us what you do and where you do it? Of course. I work at Pidpa, a Belgian utility company that hosts activities surrounding the production and distribution of drinking water and the transport of waste water. We have around 500,000 customers in 65 municipalities in the region of Antwerp. I’ve been with the company since 2001 and I have been working as an in-house SAP ABAP developer since 2007. Recently, I have taken on the role of IT architect. That said, I’m still writing code at regular times. These are exciting times for utility companies, as new technologies and regulations drive innovation and change in our industry. As an IT architect and developer, I want to contribute to making the right decisions from an IT perspective and our ERP platform specifically, when challenged by the demands from our business units and the end customer. Nic shares his expertise with the community, and he also mentors kids through a local CoderDojo. Your area of expertise, according to your profile, is quite the mouthful (but in a good way). I copied it but I’ll do my best to quote it accurately: “IT-Architect / Developer, involved in ABAP Development & Customizing on SAP EAM / IS-U / Logistics (LO-LE) / SMP / Mobile / SAPUI5-OpenUI5.” I’m not a technical guy, so you’ll have to forgive me if I ask you to explain that for a layperson (or a dumb person in my case). In short, can you explain to me what that all means and how you ended up focusing on those various things? Basically I’ve been developing a lot of SAP-related applications in the area of Logistics and Enterprise Asset Management. SAP-savvy people (so the people in this community) will probably know something about Materials in SAP, or the Warehouse Processes, and may have heard of a Service Order to be performed at an end customer — say “the Replacement of a Water Meter” as an example. It will not come as a surprise to learn these SAP processes are interconnected, as the field technician would need the proper materials, transported from the warehouse to his vehicle to enable the execution of the Work Order. In the new digital world, we need to offer the appropriate data at the right time and through the right medium. Whether it is a self-service for a customer to schedule an appointment via our website or a mobile application so the field engineer can record his efforts on a digital device, I try to play my part in offering the right application for the given scenario. At the time of this interview, you had nearly 280 answered questions — 279 to be precise, so I’m sure the number will be more than 280 by the time I publish this. Can you tell me how you manage to squeeze that activity into your day? I use the community daily as my sound board on concepts, strategies, or just to find some expert advice or sample code. And I do try to give back to the community by helping others. In addition to all the answers, you ask the occasional question. And a couple of your questions were to reports bugs, so I’m guessing you’ve had your ups and downs with the new platform. In your honest opinion, what do you think of the current state of SAP Community? A lot has been said about the new SAP Community, but once you get the hang of it – along with a list of bookmarks in your favorite web browser – you can find your way around your desired topics, people, et cetera. Maybe I’m less skeptical than others, but then again, I do not consider myself a “power user” such as an SAP Mentor or SAP Community moderator, having to plow through many requests by the community members. Like many among us, I do hope some progress will be made by improving general traceability and clustering of content (which were managed in “spaces” in the previous community). Oliver Kohl wrote about this subject a few months — which I hope you’ll see as something positive about the community. One of the things I see positive about you: your network. You have 47 followers, which is a nice number. But I’m also impressed by the number of people you follow: 241. Did you choose them for any specific reasons and, if so, how do you manage to stay on top of their contributions? A lot of the people I follow have excelled in posting good blogs. While trying to gain insights in a certain SAP area, I stumble upon some SAP Community members. After reading up on one or two blog posts, I mark them as someone I will keep on following. As I have a substantial commute to and from work (often by train), I tend to read up on the blogs and other related content, such as SAP Wiki’s. Aside from the avid bloggers, there are some very experienced people within the community that I look up to and respect for their knowledge and willingness to share, so I feel they deserve my following also. 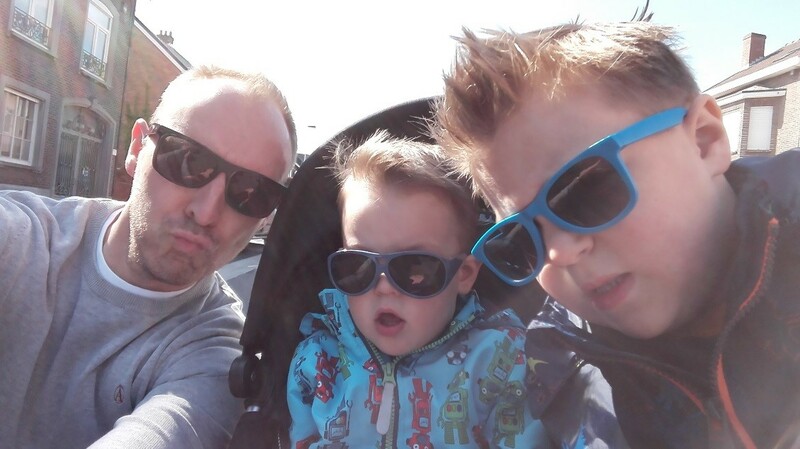 When Nic isn’t working, he enjoys spending time with his wife and sons (ages 2 and 5). I want to move outside of the community for a moment and ask you about your downtime. When you aren’t working, what do you like to do? When I’m not working, you can probably find me together with my family. I have a lovely wife and two young boys, ages 2 and 5, that make for a lively home. So we will either be playing in the garden, going for a walk in the park, going swimming, or just spending some time out and about. Other than that, I visit a local gym a couple of days per week. On weekends I also do some mentoring/coaching for a local CoderDojo community. 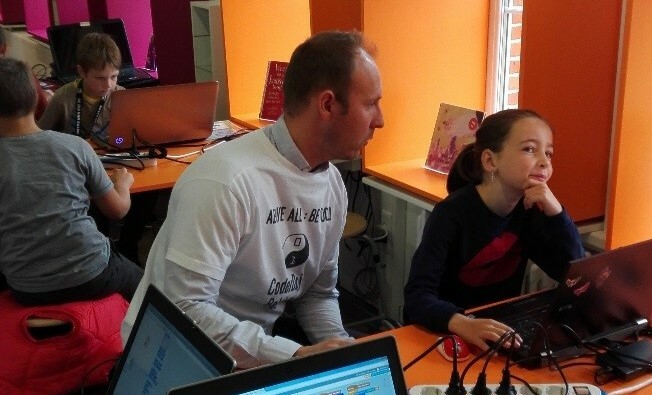 At a CoderDojo, several coaches offer an informal environment to introduce young kids to computer programming skills for free, without it becoming a rigid course or workshop. In fact, I’m doing one this Saturday, so I look forward to see what great Ideas the kids come up with as they develop in the “Skratch” programming language and make little robots do all kinds of crazy things. Finally, as a true Belgian, I like a good local beer every now and then. We Belgians have a longstanding tradition of different brands and smaller breweries that create beers based upon old recipes, sometimes dating back several centuries. Fun fact: there are currently eleven official Trappist beers in the world, and six of them are from Belgium. So I feel quite lucky to have some of these precious drinks in my home to enjoy. One final question: You’re clearly making the most out of your community membership. Do you have any recommendations for new members so they can also get the most value out of SAP Community? Posting a question willy-nilly, quickly copy-pasting some requirement from your company inbox with little context or scope serves nobody in my opinion and only prolongs the throughput time of your query. Asking good questions will get you good answers, as the blog from some years back wisely indicates. First off I urge newcomers to go to the SAP Community information web page and read the Rules of Engagement. To get the most out of the community, SAP has posted some “Tip in A Minute” videos that are very useful. Closing/marking a question as answered is one of those things that is somewhat unluckily hidden in the navigation, but it is vital in signaling to your peers that you need no further help. This way the readers are not left in the dark on the status of your query and can help others. I feel we all could benefit greatly if people would take some care in updating the (final) status of their questions. And as ever: Please do a proper search before asking a question! There’s a lot of content in the SAP ecosystem, from Wiki’s to personal blogs and the SAP ONE Support Launchpad. I actually find the SAP ONE Support to be a great tool — way better that the old Note-Search (for those who can remember). Solid advice. I’m glad we had a chance to catch up, Nic. Congratulations on achieving Member of the Month. We appreciate everything you do for SAP Community! very much !! Good one! A person like you having years of experience and still finds time to answer the questions is something special about you. Congratulations Nic on joining the ranks of MoM! It was great to learn a bit about you and read how you use your commute wisely 😉 Thank you for all that you do in actively supporting others, both here in our community and with kids via CoderDojo! Congratulations, Nic Teunckens ! I somehow missed it because of the TechEd cycle but hope it’s not too late to welcome you to the club and thank for your contributions to the Community. Thanks Jelena, really appreciate your message.